This is our CheckListables unique design for suave men who like to keep super organized. This checklist is perfect for any man that prides himself on productivity, efficiency and checking things off once they’re done. Yes – there are loads of checklist apps and computer ‘to-do’ systems out there but there’s nothing more satisfying than creating a checklist and then ticking off the items as you do them! (I’ve actually been known to write something down that I’ve already done just so that I can check it off my list)! Are you the same or do you know any guy that does this? 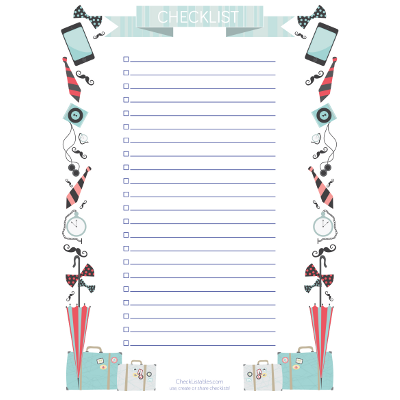 If yes, purchase this beautiful checklist pad now!